Say ‘NO’ to plastic bags! Update & more information on the must-have reusable muslin bags for fruit and veggies. 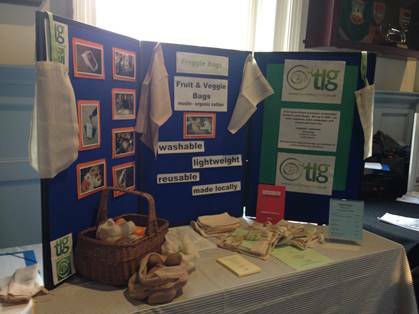 The Freggie bags were popular at their first outing at the opening of Bridport’s Green Fortnight last weekend. The bags are designed and made by Liz Davis with her team. Shoppers picking out their fruit and vegetables can say to ‘no’ to the plastic bags in supermarkets and use these plastic-free alternatives. The bags are made of organic cotton muslin and are strong, reusable and washable. GOING GREEN IS Definitely GOOD FOR BUSINESS…. This was the message given at a packed meeting at the Baptist Church’s Driftwood Caféin March 2018. It was so inspiring to hear first hand from business owners who have chosen not to use single use plastics and all about their efforts to promote recycling and energy saving, efforts rewarded by support from their customers. We received good press coverage from Lyme Online and in the Bridport News. AND THE TOWN COUNCIL AGREES ….. 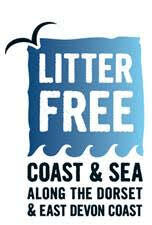 The Lyme Regis Town Council endorsed the campaign for Lyme Regis to become a Plastic Free Town. Lyme Regis in June was the 1st community in Dorset (and 24th nationally) to be granted the title by Surfers Against Sewage in the Plastic Free Communities initiative, joining over 130 other communities around the country pledging to tackle plastic pollution. A Steering Group was set up and an ‘army’ of supporters mobilised to help get the message out to our businesses, schools, local organisations and churches so that we can work together to publicise the ways our community can benefit and contribute at home, at work and on the seafront. Enquiries about the campaign to info@plasticfreelyme.uk or Facebook page. You can follow our Twitter feed as well. 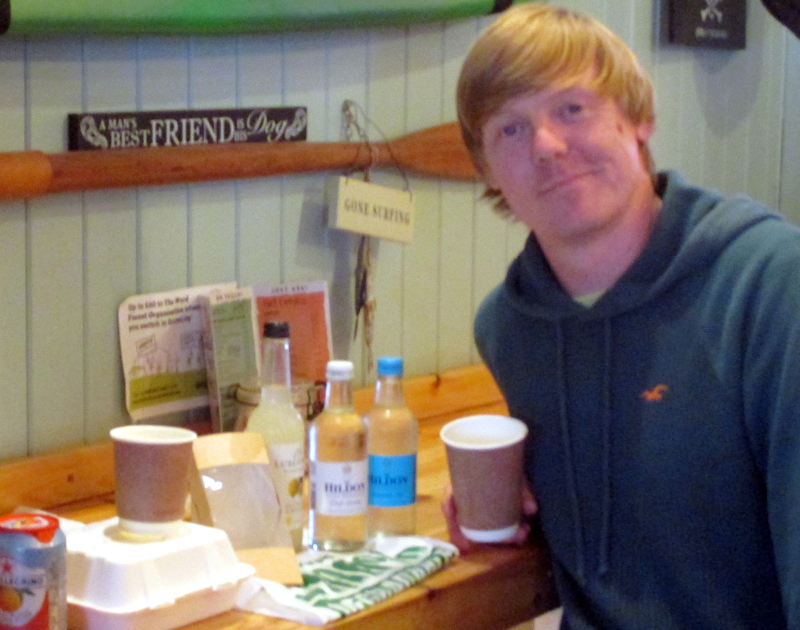 Keian McNamara, owner of the Galley Cafe in Lyme Regis, with his recyclable and compostable containers. With the welcome renewal of publicity to deal with plastic pollution, we thought you would like to be reminded that, 10 years ago, Biggerhouse Film and Video Production worked with the children at St Michael’s Primary School to make this award winning animated film. How true it is today – 10 years later.